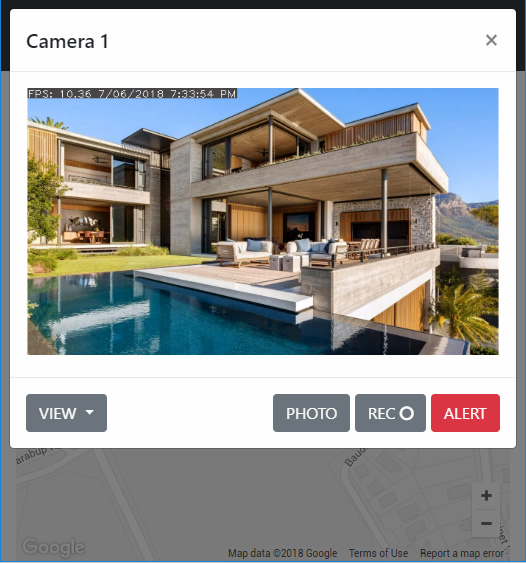 Our Agent platform now includes a full neighbourhood watch system that allows you to share your cameras with your neighbours on a map, invite people to add their cameras and remotely view, record and alert via mobile apps and the web platform. Click to Add a new group. Give it a name and set the location and zoom on the map so your neighbourhood is visible. Next click the camera icon to add your devices (cameras and microphones) to the map. You will need Agent running and connected with cameras added to complete this step. Pro Tip: When you've added your device you can edit it and set permissions. Next click the people icon to invite your neighbours to join the group and add their cameras. To view your neighbourhood watch group click on the group name in the table. 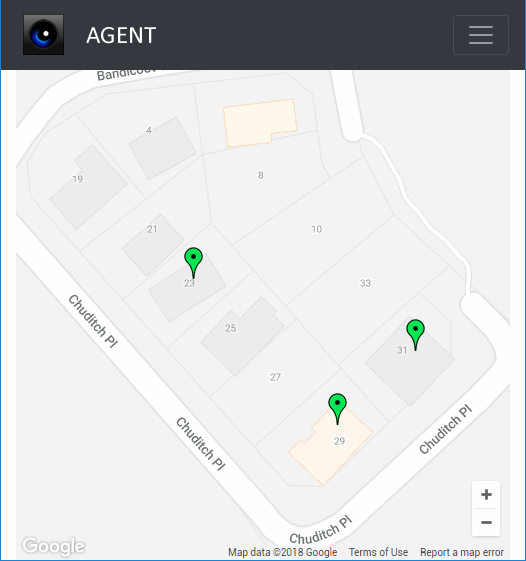 The map view shows the cameras in your neighbourhood. Green icons mean these cameras are online. Red means they are offline. Click on a camera to view a live feed. To view recordings and photos use the drop-down at the bottom left of the live viewer. To search the saved content use the filter icon at top right of the page.